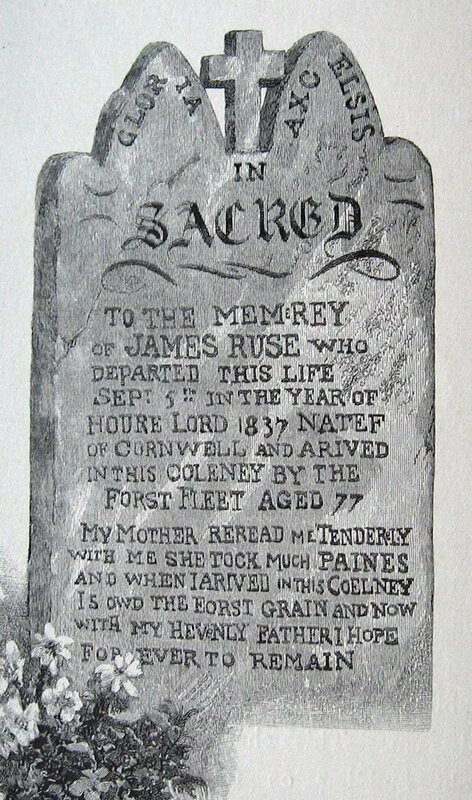 From 1789, Cornish emancipist James Ruse was allowed to farm 30 acres of land at Parramatta. He was able to support himself and his family by 1791, when Governor Phillip granted him the land – the first grant of land in the new colony.Through the efforts of small farmers the colony was self-supporting by 1795. Ruse later sold his land at Parramatta and was among the first to farm in the Hawkesbury River area. 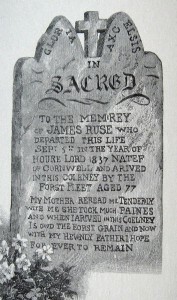 James Ruse had been convicted of burglary in his native Cornwall. Initally he was sentenced to death, but the sentence was commuted to transportation. He arrived in Australia with the first fleet. In 1789, he asked for a land grant, claiming his sentence has expired. Governor Phillip allowed him to occupy some land near Parramatta, but the grant was conditional upon Ruse demonstrating that he could produce a harvest. He was successful in his farming efforts and was given the grant in 1891. He was the first emancipated convict to obtain land and demonstrated that a small farmer could be successful in the new colony. Ruse’s fortunes were mixed in the following decades. He held land grants on the Hawkesbury, at Bankstown and in Windsor but ended his days as an overseer for a Captain Brooks at Lower Minto. He died in 1834.